Retroplex is having a 70’s marathon this week. 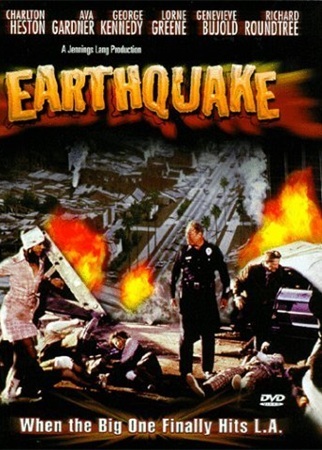 Of course that means… disaster movies! Now I’m sure everyone has heard of the more notorious transportation-related disaster movies Airplane (reproduced recently as Snakes on a Plane) and The Poseidon Adventure (reproduced recently as just Poseidon) but I, at least, was pleasantly surprised by the planning- and building code-related disaster movies such as Earthquake (with the dashing Charlton Heston) and The Towering Inferno (with Paul Newman). These movies, both set in California coincidentally, chose to shock their audiences by reminding them that their engineering and building technologies and ambitions were outpacing their out-dated zoning and building codes. 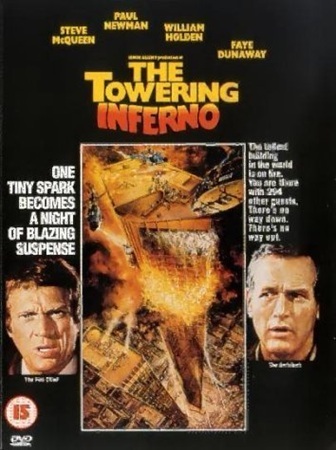 Today as we watch cities like New Orleans be devastated by hurricanes and half of the Midwest be wiped out by tornados, along with wildfires, black outs and heat waves, we must ask ourselves; have learned anything from the 1970s disaster movies? Are building code disasters a thing of the past or are developers still building just to code and putting lives in danger? Zoning code disasters certainly aren’t a thing of the past. Maybe Hollywood should come out with a movie Suburbia in which Hugh Jackman fights the sprawl of an undefined Sunbelt city. He and his sidekick Shia LaBeouf quickly find out that although crafty developers can somehow get as many variances out of the zoning commission and nuclear energy out of the government as they need to fuel their housing development clones, there really is a finite amount of land that you can build on. I'm a Rutgers Alum myself and I remember watching movies with friends and roommates in my dorm. We actually devised a new way to pick a movie. What we did was get one of those lottery wheels put different choices on them. We ended up watching a lot more variety that way.